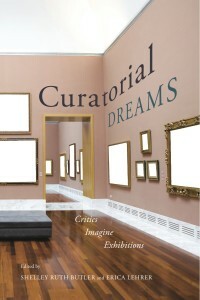 We are pleased to announce the arrival of Curatorial Dreams! Scholars are challenged to create their own exhibitions. 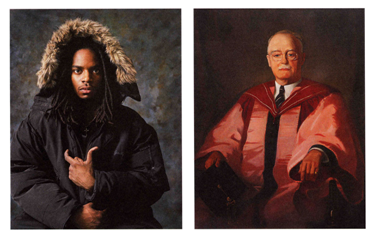 What if museum critics were challenged to envision their own exhibitions? In Curatorial Dreams, fourteen authors from disciplines throughout the social sciences and humanities propose exhibitions inspired by their research and critical concerns to creatively put theory into practice. Please be advised that CEREV is changing its domain URL to http://cerev.ca – http://cerev.concordia.ca will still be active over the next few months but will eventually be terminated. Please use our new domain, so you don’t miss out on anything! 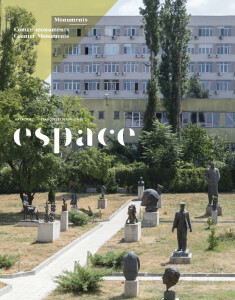 Nadine Blumer, CEREV’s SSHRC Postdoctoral Fellow, just published the article, “Going Beyond the Pillars of the Memorial Site: Berlin’s Gallery of Romani Art as ‘Counter-Monument'” in the contemporary art journal Espace, Winter 2016, pp. 36-44. 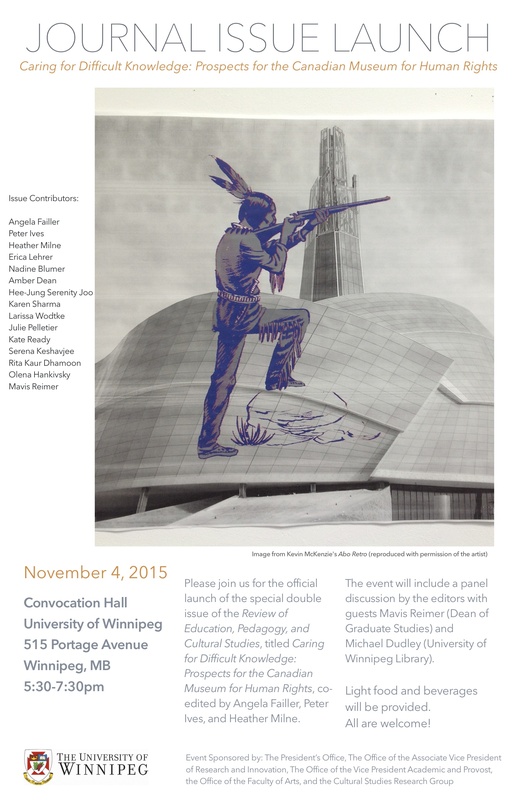 The review of the Canadian Museum for Human Rights appears in American Quarterly, Volume 67, Number 4, December 2015. Click here for link to PDF document. 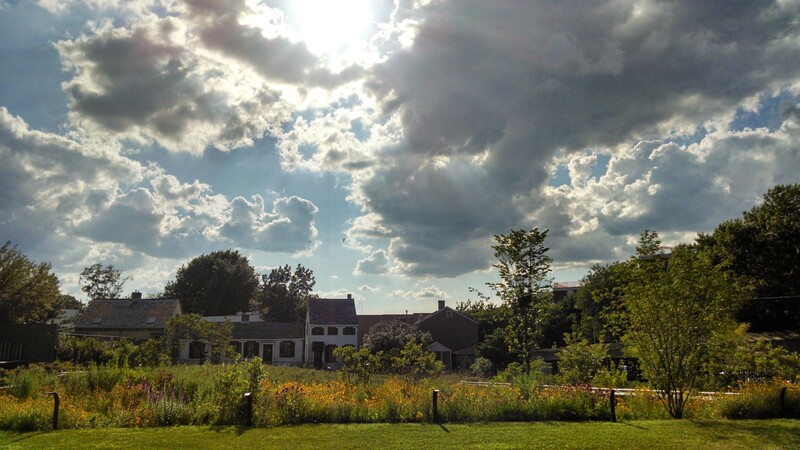 Radical Museology …In Historic House Museums? This is a free event and open to all. No registration is necessary. 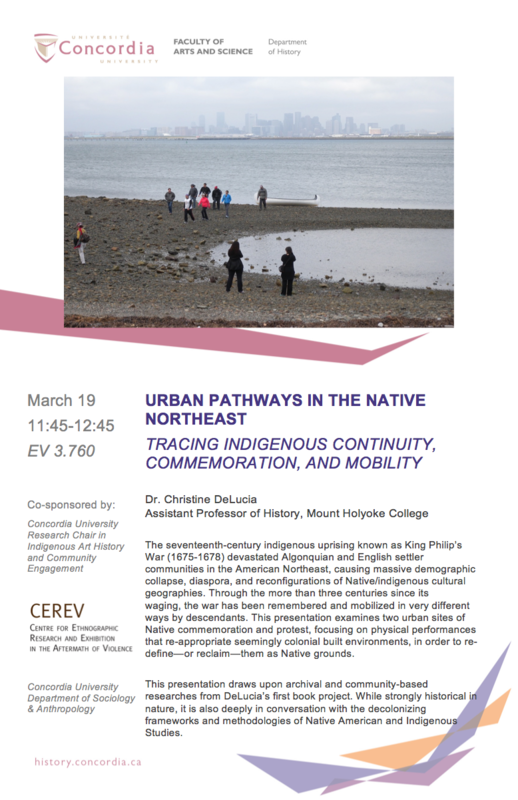 CEREV is proud to co-sponsor “Urban Pathways in the Northeast: Tracing Indigenous Continuity, Commemoration, and Mobility,” a lunch-hour presentation by Dr. Christine DeLucia (Assistant Professor of History, Mount Holyoke College). We are excited to announce that former CEREV Postdoctoral Fellow Jenny Doubt and student affiliate from Concordia’s Department of History Ian Bradley-Perrin will be mounting their project A Global Pandemic? 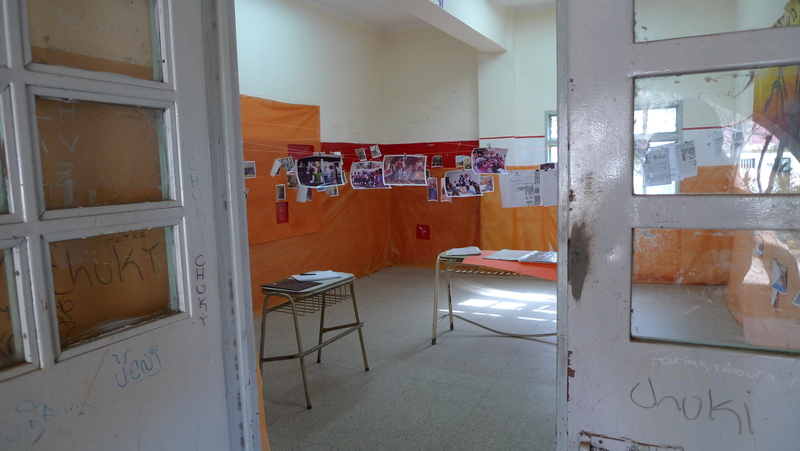 Problematizing Universal Strategies Through Localized Experiences of HIV/AIDS in our Exhibition Lab from February 12-13, 2015. 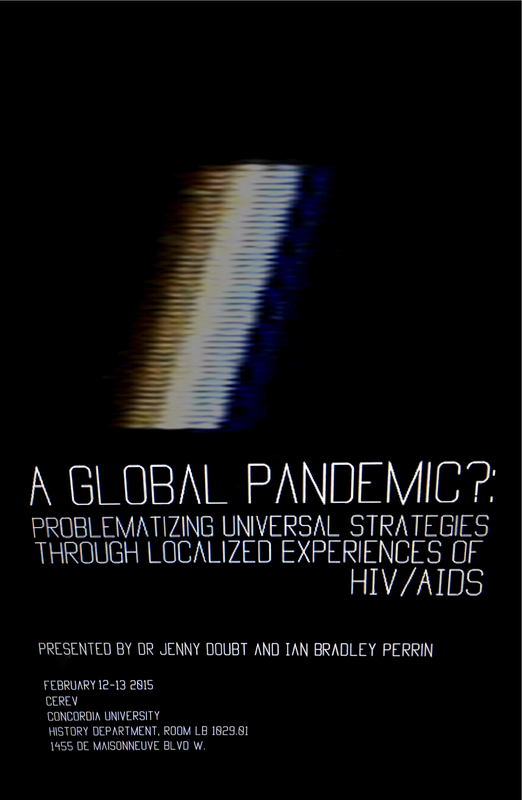 Please join us for a casual guided tour of Jenny Doubt and Ian Bradley-Perrin’s exhibition project “A Global Pandemic? Problematizing Universal Strategies Through Localized Experiences of HIV/AIDS” with Q&A session in CEREV’s Exhibition Lab from 5 – 7 PM on February 12, 2015. Come see the product of much hard work on the part of former CEREV Postdoctoral Fellow Jenny Doubt and our student affiliate Ian Bradley-Perrin. 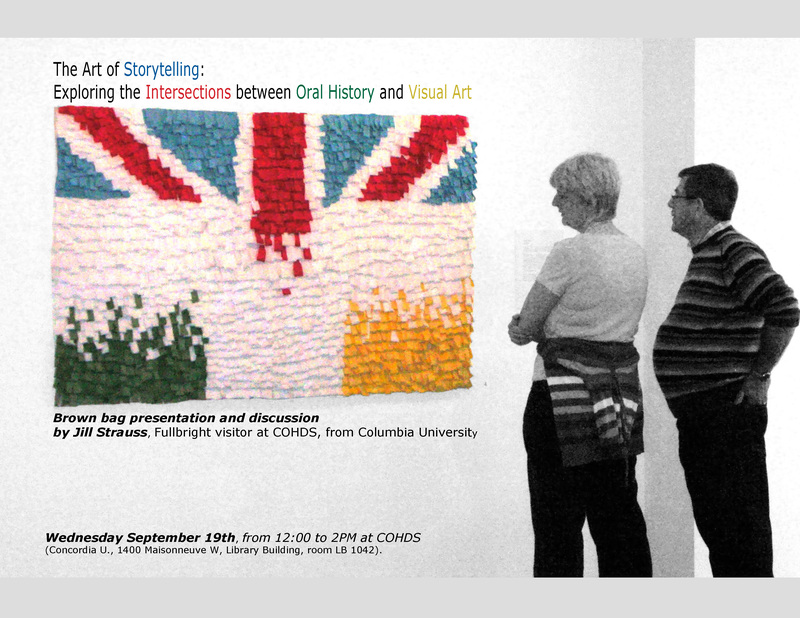 Their experimentation in curation, “A Global Pandemic? 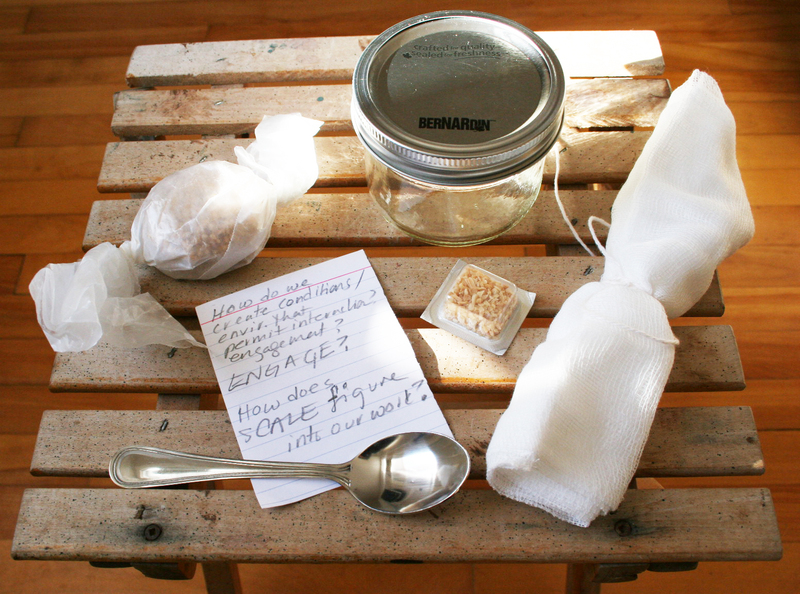 Problematizing Universal Strategies Through Localized Experiences of HIV/AIDS” will be open to the public for drop-in visits at CEREV’s Exhibition Lab on February 13, 2015 from 12 – 5 PM. 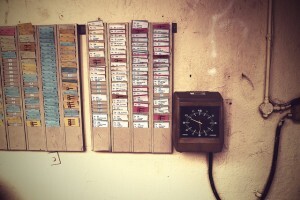 A Global Pandemic? seeks to examine the experience of HIV/AIDS in significantly different localised contexts in Canada, America, South Africa, Brazil and Ukraine, thus revealing one of the limitations of universalised HIV/AIDS strategies focused on ‘universal access to antiretroviral therapy’, namely their failure to consider the significant nuances introduced by gender, age, class and urban/rural context that ultimately differentiate national and regional experiences of HIV and AIDS. 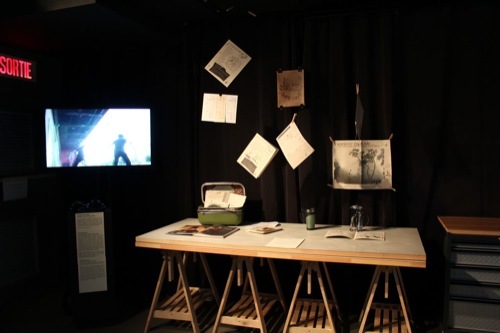 We are excited to announce that CEREV will be hosting Gaelyn and Gustavo Aguilar of TUG Collective (University of Maine at Farmington) in our Exhibition Lab for a series of events February 16-19, 2015. 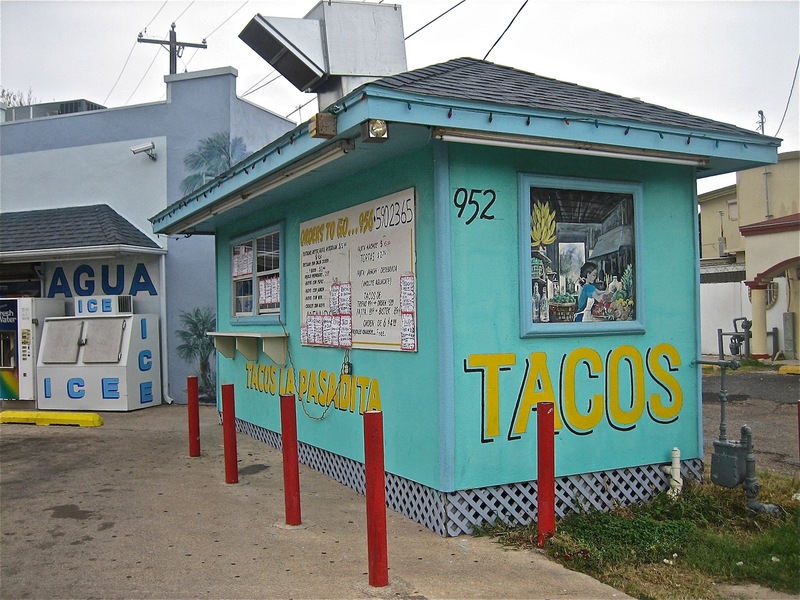 Their primary project will be an installation of Who Eats at Taco Bell?, workshopped at CEREV’s Encuentro session in June. Who Eats at Taco Bell? 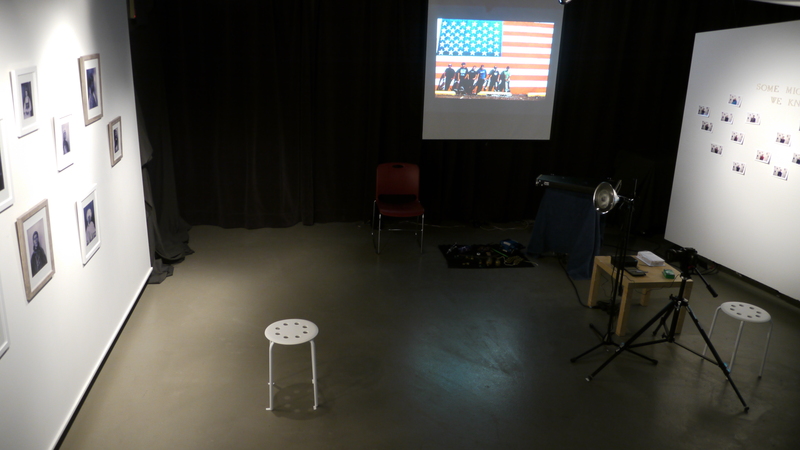 is a socially-engaged-art platform for thinking about how the interlocking dynamics of immigration, social race, and economic prosperity in U.S.-American history continue to resonate with personal and political notions of national identity and belonging. Tug collective will be traveling the Lewis and Clark (a trail that was forged by an expedition that took place from 1804-1806), in the summer of 2016 leading up to the 58th U.S. Presidential Election, with a taco bike/cart, making tacos for people with whom we come in contact and activating participation via a multi-sensorial/multimedia installation, all in an effort to seed and extend conversations about what it means to inhabit a place, at this particular point in time. On Thursday, February 19, Gaelyn and Gustavo will present Small Acts of Repair in the Exhibition Lab and host a public reception from 5 – 7 PM. 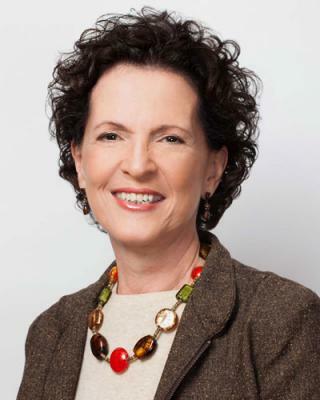 CEREV is proud to co-sponsor “A Pioneering Journey: Strengths-based Approach to Working with Survivors of Genocide,” a talk with educator, author, and speaker Myra Giberovitch. In our newest blog post, Dr. Tracy Zhang shares her reflections on working with CEREV’s facilities throughout her Fall 2014 Simone de Beauvoir Institute course Anti-Racist Feminist Media (WSDB498I). In our newest blog post, Nuria Carton de Grammont shares her reflections on curating Narcotraffic and the Art of Violence, shown in the CEREV Exhibition Lab November 20-27, 2014. 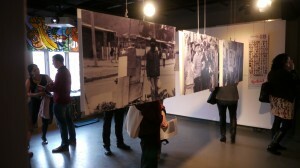 The exhibition and its accompanying roundtable discussion were co-sponsored by the Chaire d’Etudes du Mexique Contemporain, the Centre d’Etudes et de Recherches Internationales, and the Réseau d’etudes sur l’Amérique latine à Montréal. Click through to read the full post (in French). 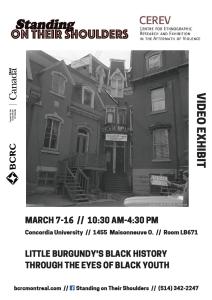 Please join us in our Exhibition Lab this month for a multi-artist installation curated by Université de Montréal postdoctoral researcher Nuria Carton de Grammont and featuring Concordia students and alumni. This exhibition explores artistic activism that seeks unique aesthetic strategies to educate viewers on the extreme violence caused by narcotraffic in contemporary Mexico. Narcotraffic and the Art of Violence is co-sponsored by CEREV, the Chaire d’Etudes du Mexique Contemporain, the Centre d’Etudes et de Recherches Internationales, and the Réseau d’etudes sur l’Amérique latine à Montréal. This month, we are pleased to be offering two training sessions in DSLR video production. These free workshops are presented in collaboration with The Centre for Oral History and Digital Storytelling (COHDS) on November 12 & 19th from 12 – 2 PM in our Exhibition Lab. Thanks to significant interest, these sessions are now at capacity! 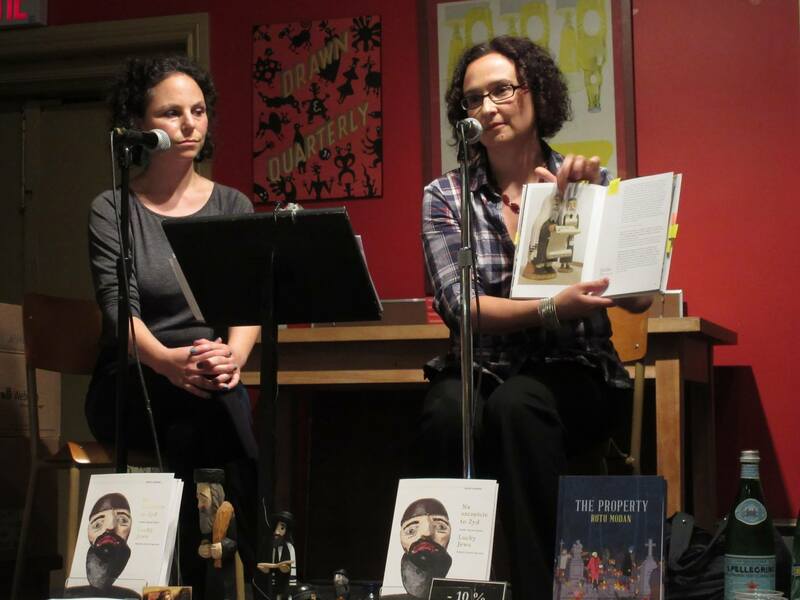 Many thanks to everyone who came out to the launch event for Erica Lehrer’s newest book Lucky Jews: Poland’s Jewish Figurines (Ha!art Press, 2014) on October 16! Tamara Kramer, host of Shtetl on the Shortwave, provided an insightful frame for the discussion, and Erica had plenty to talk about with the engaged and lively audience, which ranged from 20- to 80-year olds. 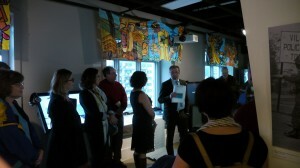 Thank you again to the staff of Librairie Drawn & Quarterly for such a successful evening! 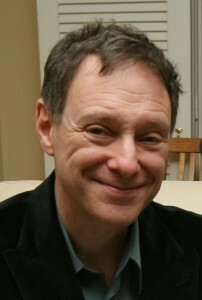 To learn more about the book, visit http://www.luckyjews.com/. 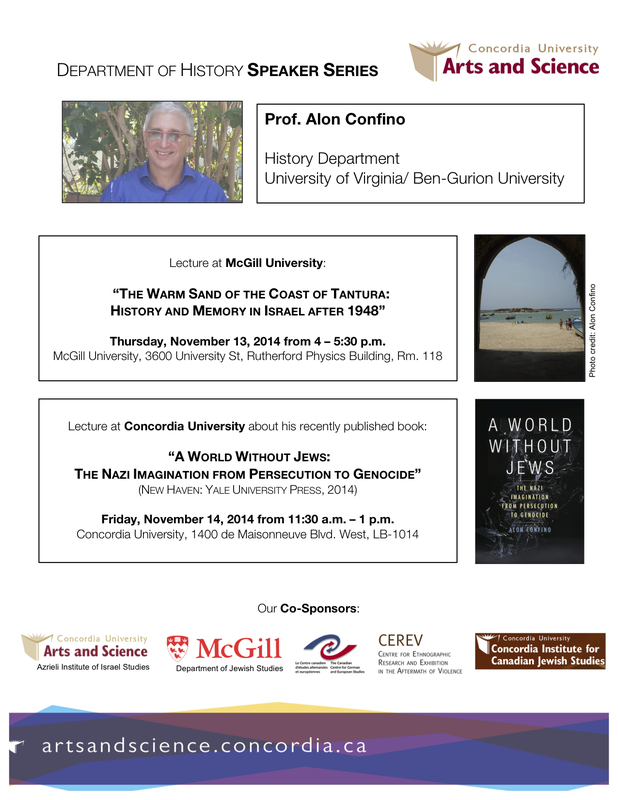 CEREV is proud to co-sponsor the next event in Concordia’s Department of History Speaker Series, a lecture by Dr. Alon Confino (University of Virginia/Ben-Gurion University). 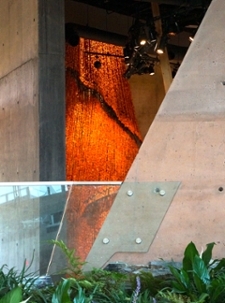 Cynthia Milton (CEREV, Université de Montréal) recently shared her first impressions and reflections on the opening of the Canadian Museum for Human Rights on the CSRG website. Cynthia was one of the participants in “Museum Openings: Caring for Difficult Knowledge Within and Beyond the Canadian Museum for Human Rights”, a September workshop we co-hosted with the University of Winnipeg’s Cultural Studies Research Group. Click through to see the full post on the CSRG website. 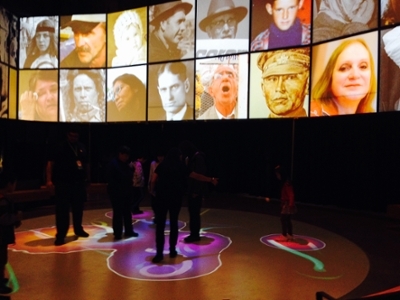 Erica Lehrer (Director, CEREV) and Angela Failler (Cultural Studies Research Group, University of Winnipeg), have written a piece for the CSRG website in which they reflect on the newly-opened Canadian Museum of Human Rights. 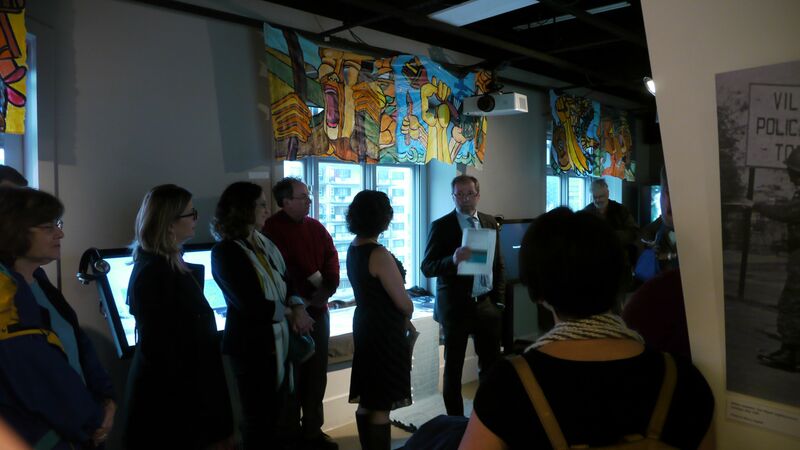 CEREV affiliates joined members of the CSRG in Winnipeg recently for Museum Openings: Caring for Difficult Knowledge Within and Beyond the Canadian Museum for Human Rights, which formally kicked off CEREV’s partnership with the group. 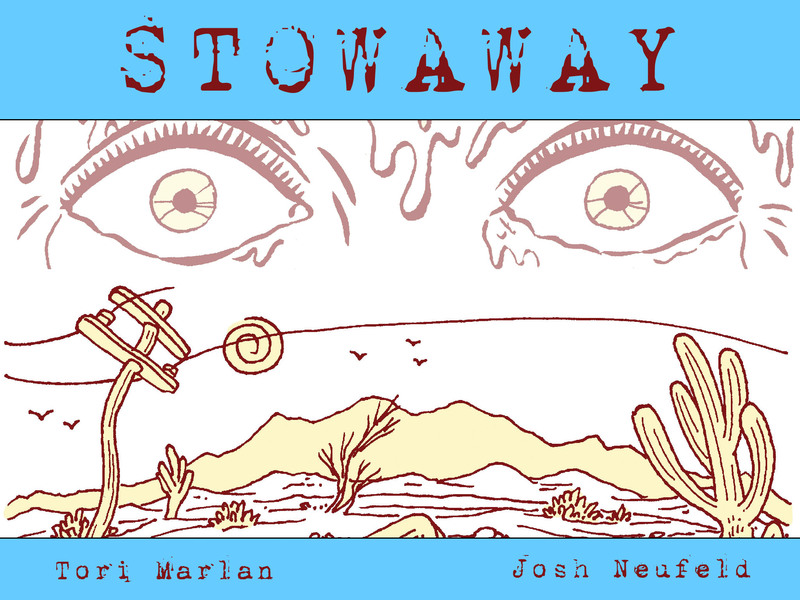 Click through to see the full write-up. Like a nineteenth-century universal museum, the CMHR is explicitly global. 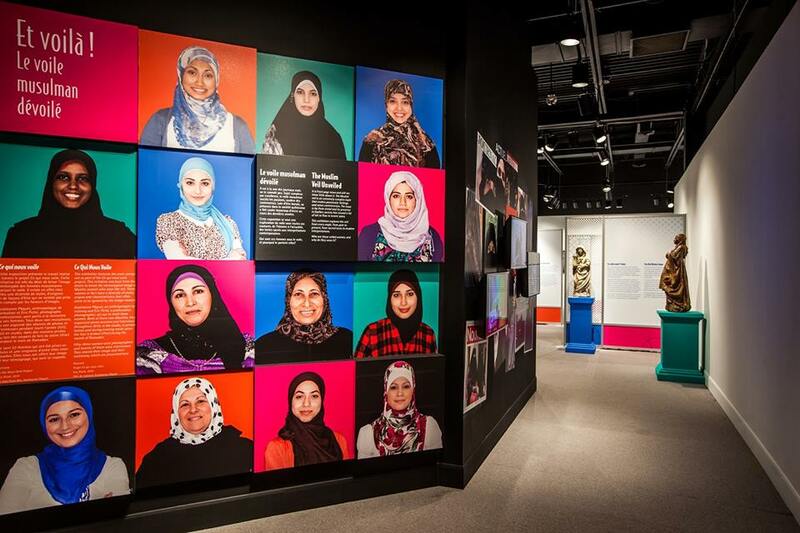 Arguably, Canada, with its diasporic communities linked to any number of historical and contemporary violations of human rights, is the right place for this museological experiment. 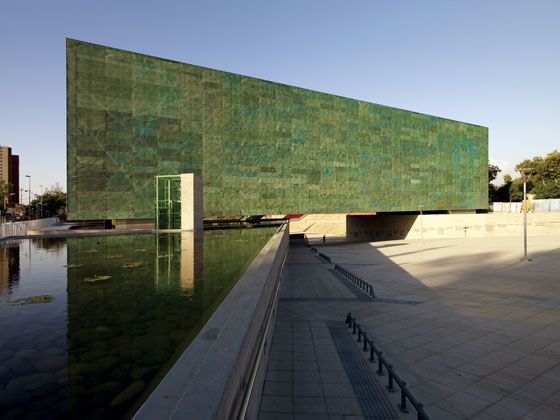 But logically and morally, I argue, the museum should be grounded and engaged in the local struggles occurring on its doorstep, which reverberate nationally. 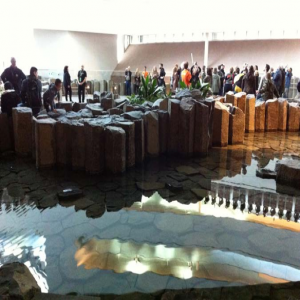 In our latest blog post, Shelley Ruth Butler reflects on the contentious September opening of the Canadian Museum of Human Rights in Winnipeg. 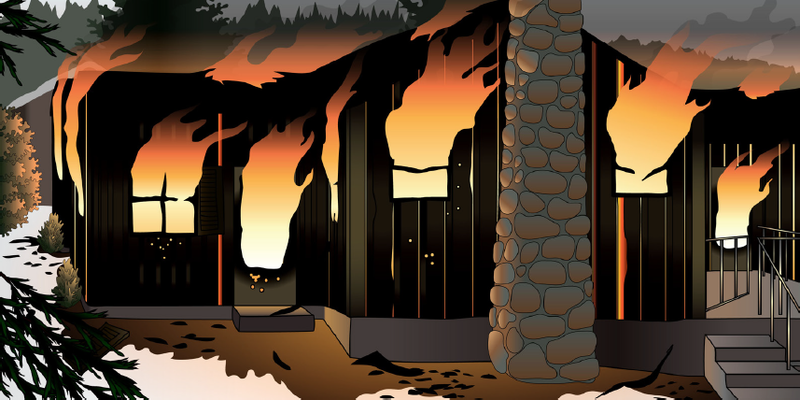 Click through to see her piece. Director’s Greeting: Welcome back & looking forward! Welcome back, CEREV friends! I had a wonderful sabbatical, full of the always surprising and thought provoking challenges of public scholarship and curating difficult knowledge. My June 2013 exhibit Souvenir, Talisman Toy in the Seweryn Udziela Ethnographic Museum in Krakow, Poland was a fascinating experience. Part of this was navigating the institutional politics of bringing “critical museology” to an historic, East European national museum, contributing to their growing pains (and experiencing some of my own) as they “Europeanize” and “globalize.” And part of it was the success of the exhibit itself. This, along with its short run (less than 3 weeks), pushed me to spend much of the year creating a bilingual catalog based on the exhibit, as well as a website, so that the materials could have an ongoing life and be used for pedagogical purposes in Poland and abroad. 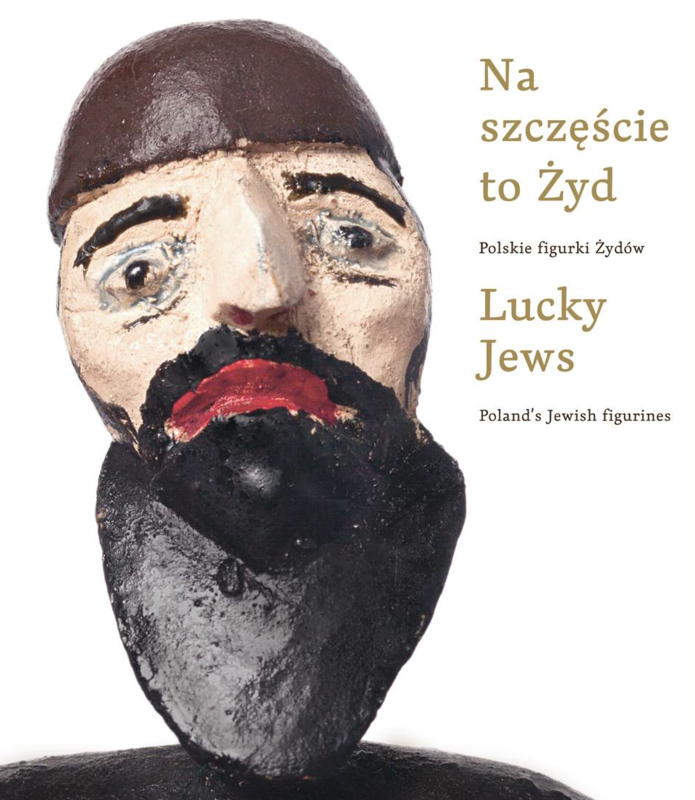 Please join us to celebrate the publication of our director’s new volume Lucky Jews: Poland’s Jewish Figurines for an evening of film and discussion about a unique aspect of Poland’s current fascination with Jewish culture. CEREV is pleased to host a work group as part of the Hemispheric Institute’s 2014 Encuentro, MANIFEST! Choreographing Social Movements in the Americas. The week-long session in our Exhibition Lab is convened by Monica Patterson, our Banting Postdoctoral Fellow. 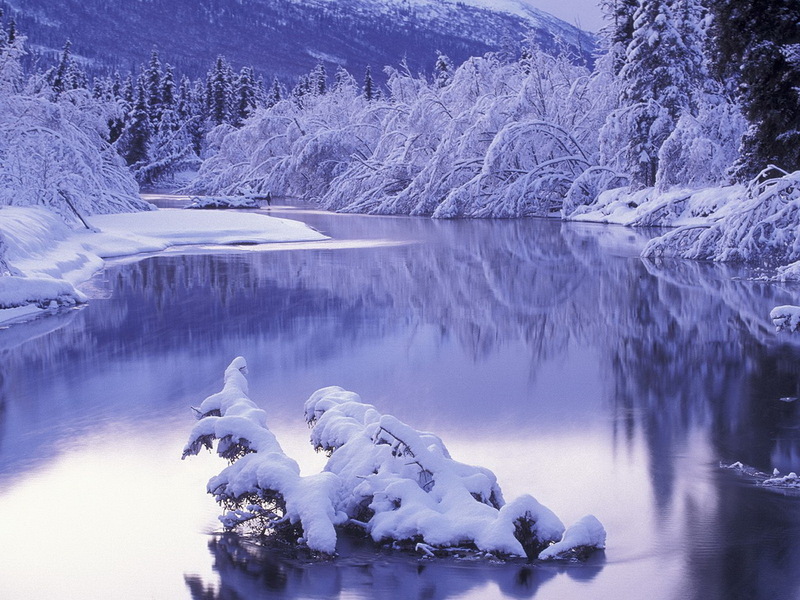 Click through to visit the work group’s mini-page. As my time as Acting Director ends, I want to take a moment to reflect on the rich and productive last year, as well as tell you about where CEREV is heading. 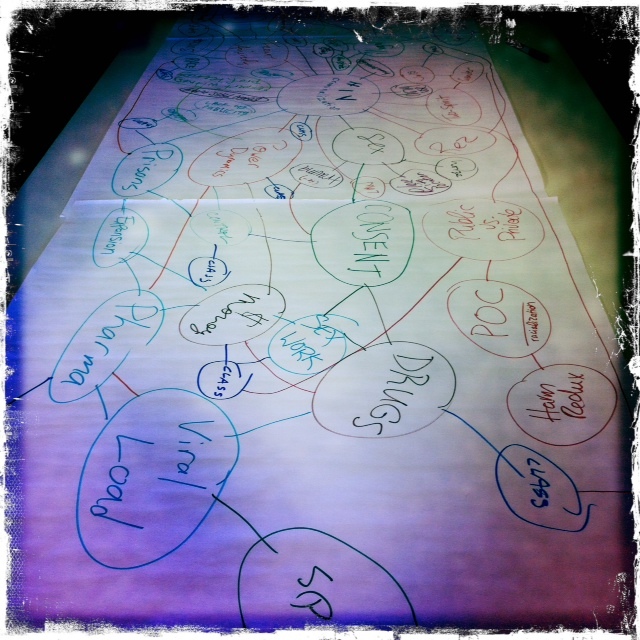 A highlight of the year was developing participatory and practice oriented workshops. 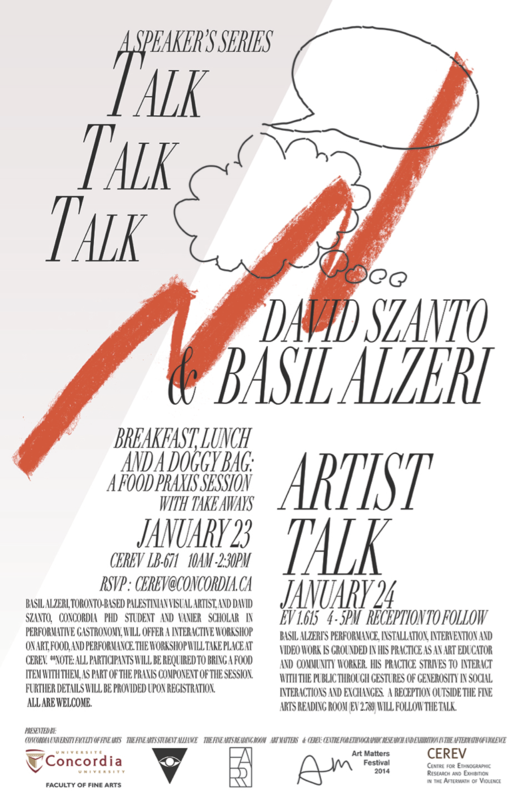 These included a session on food and exhibition with performance artist Basil AlZeri and a day-long workshop on criminalization of HIV in Canada, in which a collective of community activists and academics created a multi-pronged public art educational campaign. 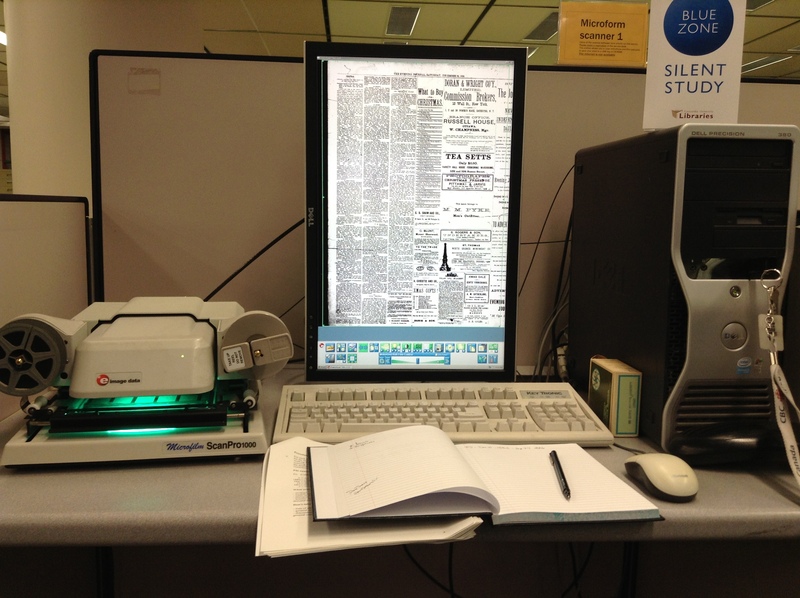 We saw the potential of using new and old media in the CEREV lab in the service of public culture. In response to our local political climate, I was especially pleased to welcome anthropologist Andréanne Pâquet who presented her advocacy oriented exhibitionary work involving photographic portraits of Muslim women. In our latest blog post, Caroline Künzle reflects on using humour to over prejudice and her video project we mounted in the Exhibition Lab this past March. 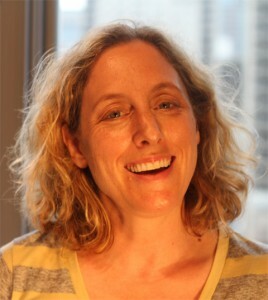 Her project, “Is this a joke / C’est une joke?” is a component of her MFA in Creative Practice with the Transart Institute. Click through to see her write-up. CEREV MA affiliate Ian Bradley-Perrin and Administrative Assistant Mary Caple share their reflections on the organizing process behind the “Collective Strategies for Visual Production on the Issue of HIV Criminalization” workshop and recent developments in the the historiography and public history of HIV/AIDS. This post is the final piece in a series of blog posts reflecting on projects that our affiliates, staff, and students have been producing this year that deal with HIV/AIDS. Click through to see their post. Concordia undergraduate student Brittany Watson shares her reflections on translating a class project from the classroom into curatorial and archival work. 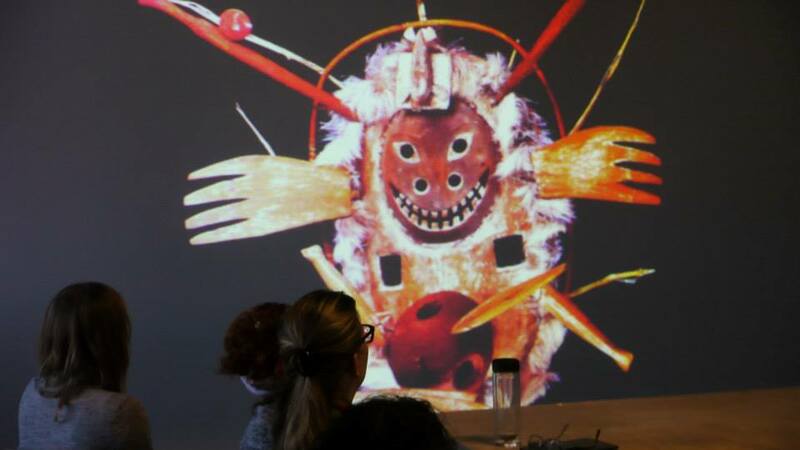 Brittany was asked to curate an “imagined exhibition” as a component of Dr. Heather Igloliorte’s undergraduate seminar Exhibiting Aboriginal Art in Theory and Practice, taught in the Department of Art History at Concordia University. Click through to see her post. image © Molo Songololo, Issue No. 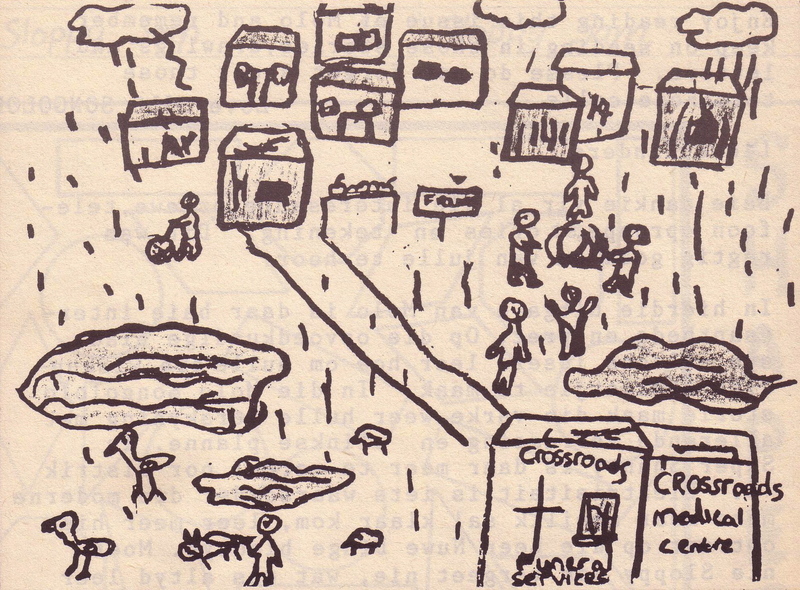 40, August 1985, Cape Town. This symposium is open to the public, but seating is limited. 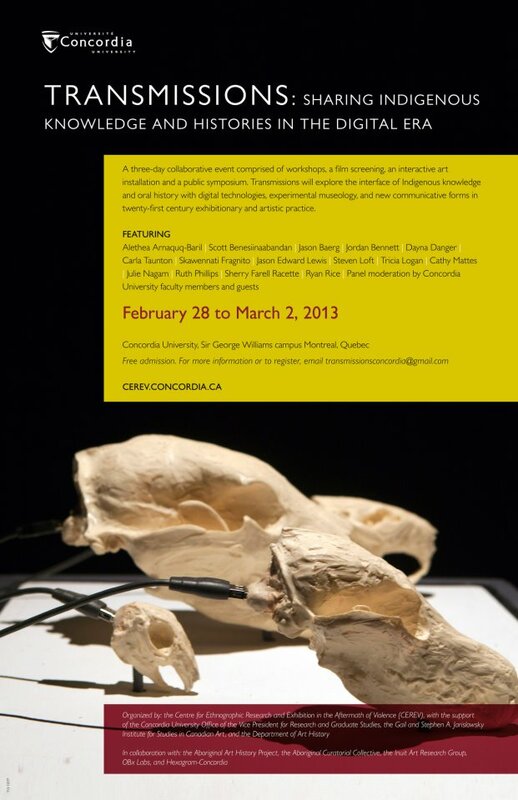 RSVP to cerev@concordia.ca (Mandatory for admittance). 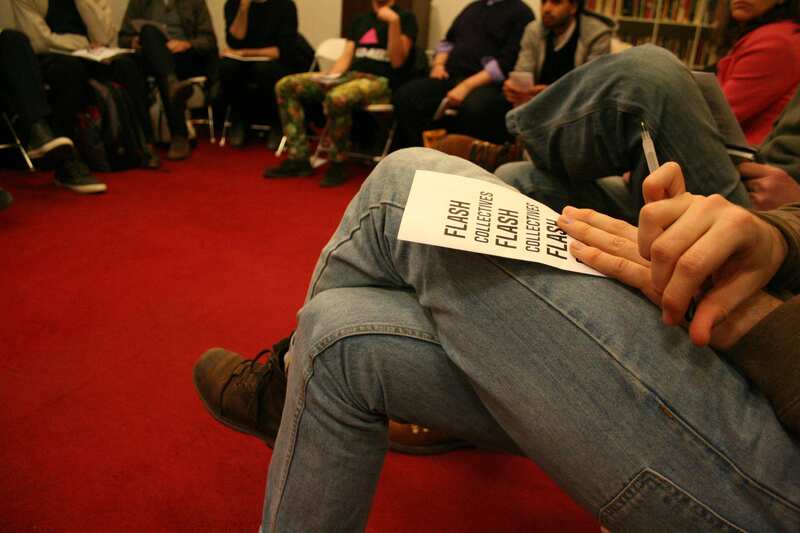 CEREV Administrative Assistant Mary Caple shares her reflections on the Visual AIDS event “Flash Collectives: Creating Agile Strategies for Social Change” at the Brooklyn Community Pride Center in New York on February 28, 2014. She and other participants spoke about our January workshop with Avram Finkelstein. Concordia News asked Monica Patterson for her take on the Hemispheric Institute’s Encuentro, taking place at Concordia June 21-28. In 2010, anthropologist Andréanne Pâquet launched a participatory photography project, Ce Qui Nous Voile (Our Veil), working with more than 50 women from Montreal who wear the Muslim headscarf. Together with photographer Éric Piché, she met, photographed, and interviewed these women on why they wear the veil and what it means to them. 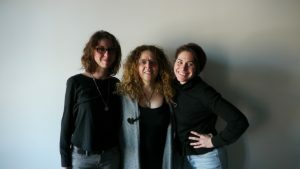 CEREV fellow Jenny Doubt shares her reflections on our January session with New York-based artist, activist, and writer Avram Finkelstein and connections with her own research. 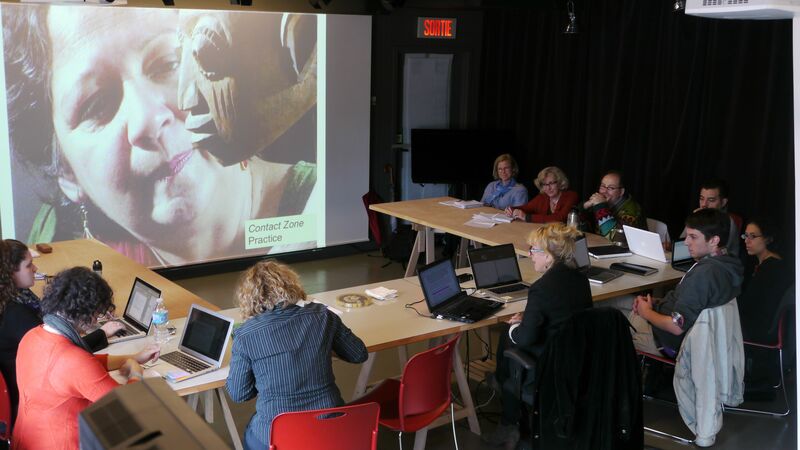 The workshop was a co-production with Concordia’s HIV/AIDS Community Lecture Series with the support of the university’s Faculty of Fine Arts (FOFA) Gallery. Caroline Künzle’s Is this a joke? / C’est une joke? We are pleased to mount Caroline Künzle’s Is this a joke? / C’est une joke? 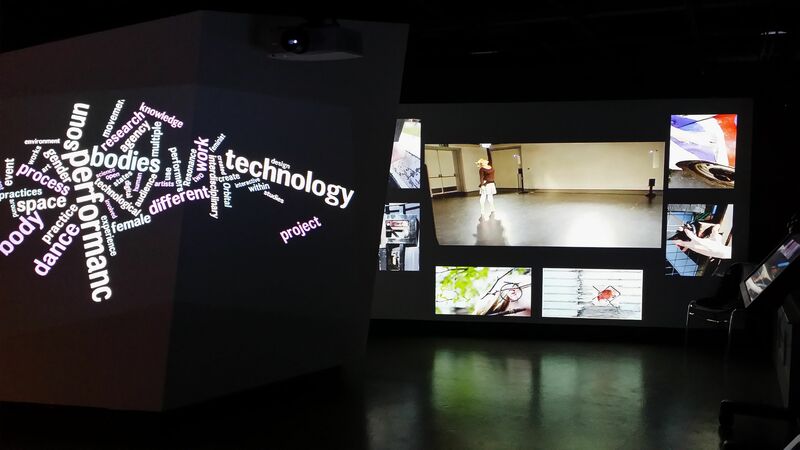 project in our Exhibition Lab from March 14 – 20, 2014. Open to all. No RSVP necessary. 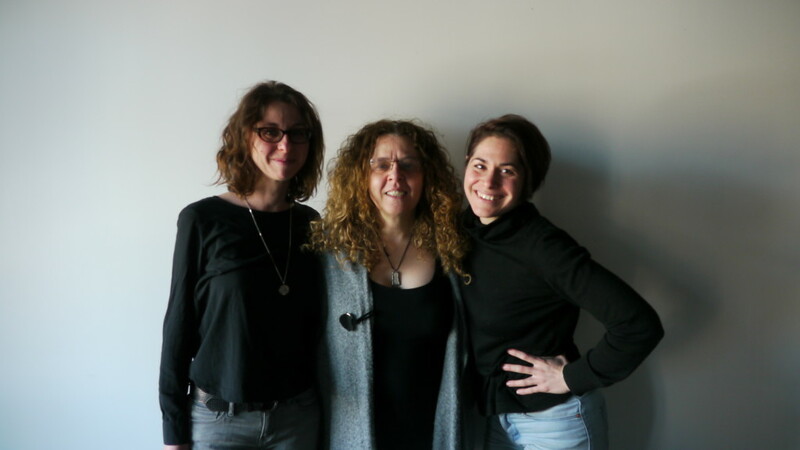 Zohar Kfir will be interviewed in-studio on CKUT-FM tomorrow morning (February 25) between 7 and 9 AM on The Morning After Show about her upcoming installation at CEREV. 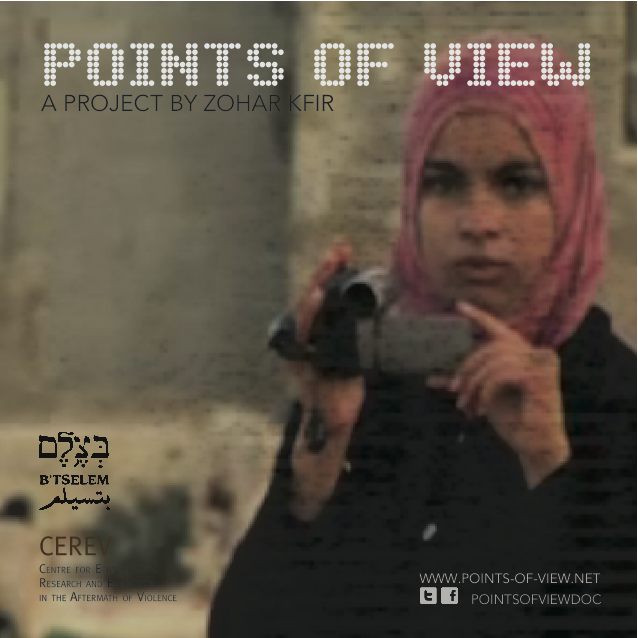 We are excited to mount her interactive documentary project Points of View in our Exhibition Lab from February 27 – March 6, 2014. Assistant to the Director at the Montreal Institute for Genocide and Human Rights Studies (MIGS) Marie Lamensch shares her reflections on MIGS’ January Twitter Bootcamp in our Exhibition Lab. 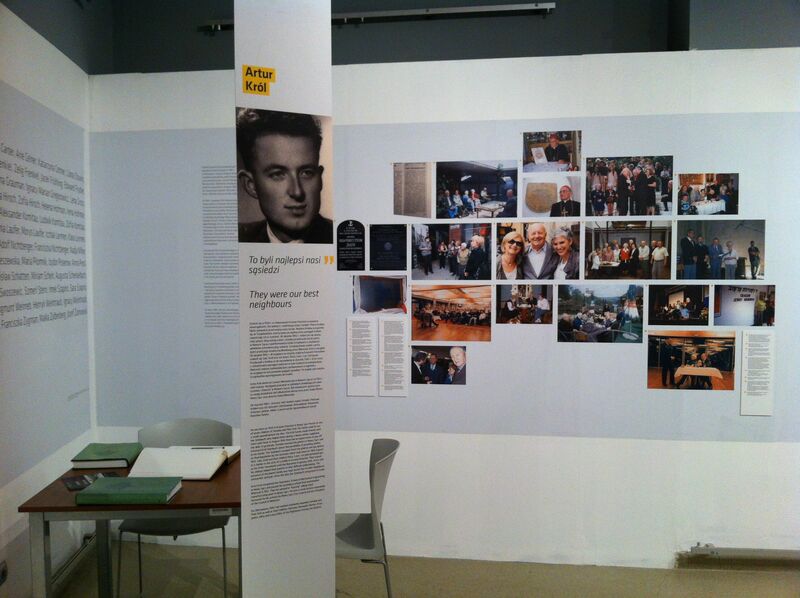 Erica Lehrer has recently published a critical review of a recent exhibition about Polish “righteous gentiles” in the online journal of the Polish leftist movement Political Critique (Krytyka Polityczna). The group works to connect scholars, artists, and activists with each other and with the public. Multi-media artist, curator, writer, educator, and Concordia Humanities PhD student Natalie Doonan shares her reflections on our workshop with Basil AlZeri and David Szanto earlier this month. 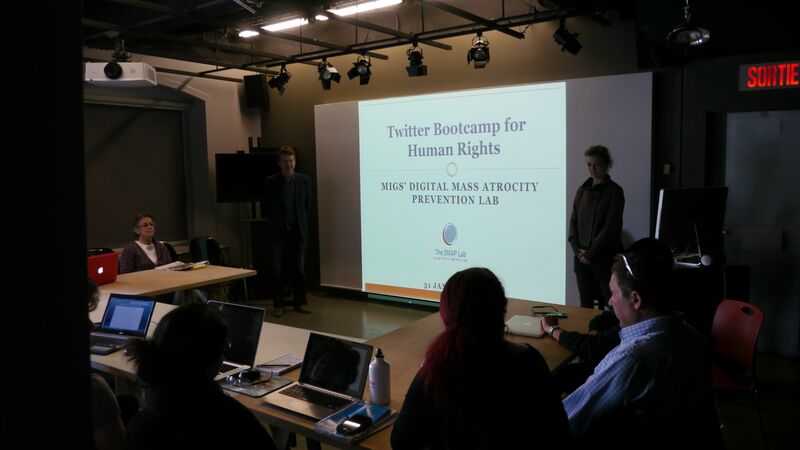 On January 31, the Montreal Institute for Genocide and Human Rights Studies will be facilitating a Twitter Boot Camp in our Exhibition Lab. 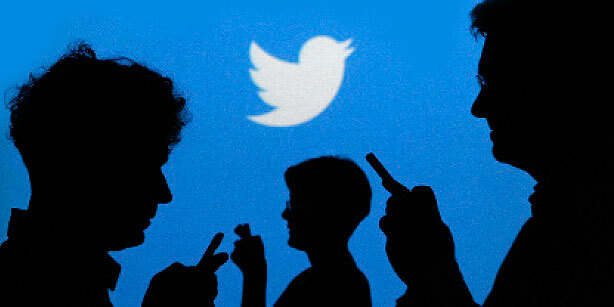 The session with help participants use Twitter to call attention to causes and promote social change at local and global levels. Participants will learn how to make this social media an effective tool for advocacy goals, put together a Twitter strategy and get connected with the right people for their organization or cause. A full day workshop on the collective production of socially engaged art and agitprop with activist cultural producer Avram Finkelstein. Co-produced by CEREV and Concordia’s HIV/AIDS Community Lecture Series with the support of the university’s Faculty of Fine Arts (FOFA) Gallery. 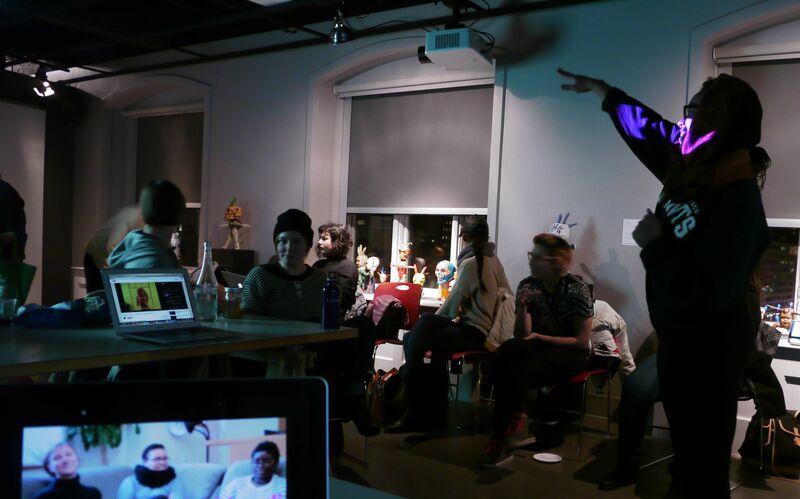 “Collective strategies for visual production on the issue of HIV criminalization” will be co-facilitated by activist/performer Jordan Arseneault and artist J’vlyn d’Ark. 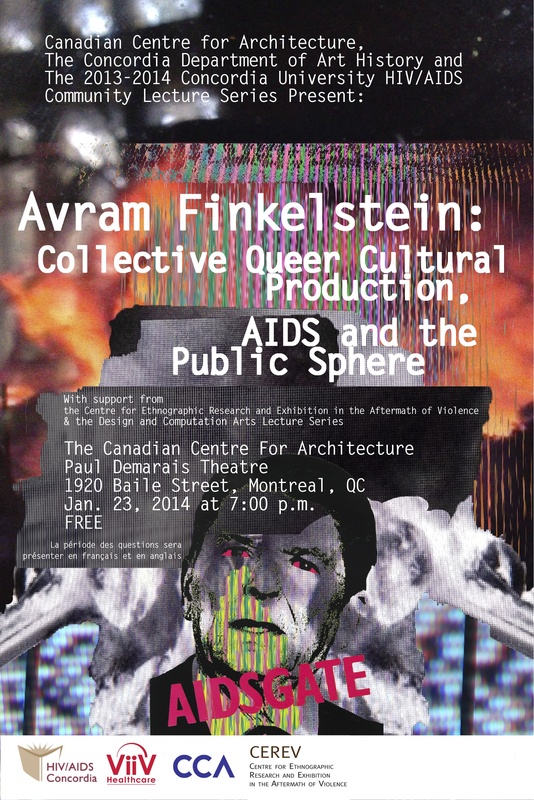 This session is presented in conjunction with “Collective Queer Cultural Production, AIDS and the Public Sphere,” a lecture by Avram Finkelstein at the Canadian Centre for Architecture on Thursday, January 23 at 7:00 PM. 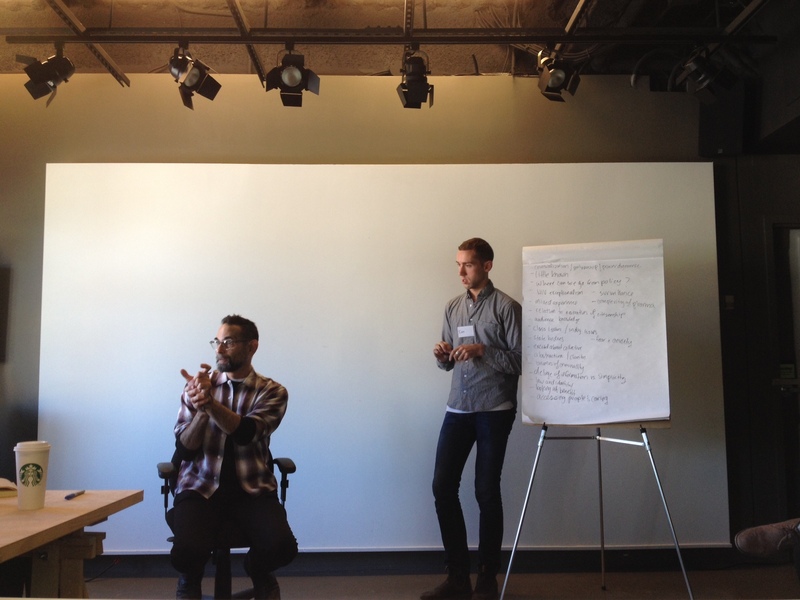 An interactive workshop on art, food, and performance with Toronto-based Palestinian artist Basil AlZeri and David Szanto, Concordia Individualized Program PhD student and Vanier Scholar in performative gastronomy. Co-produced by CEREV and FASA with support from the Office of the Dean and the Office of Student Affairs in the Faculty of Fine Arts at Concordia University. All participants will be required to bring a food item with them as part of the praxis component of the session. Two short presentations will be followed by a series of exercises with all attendees. 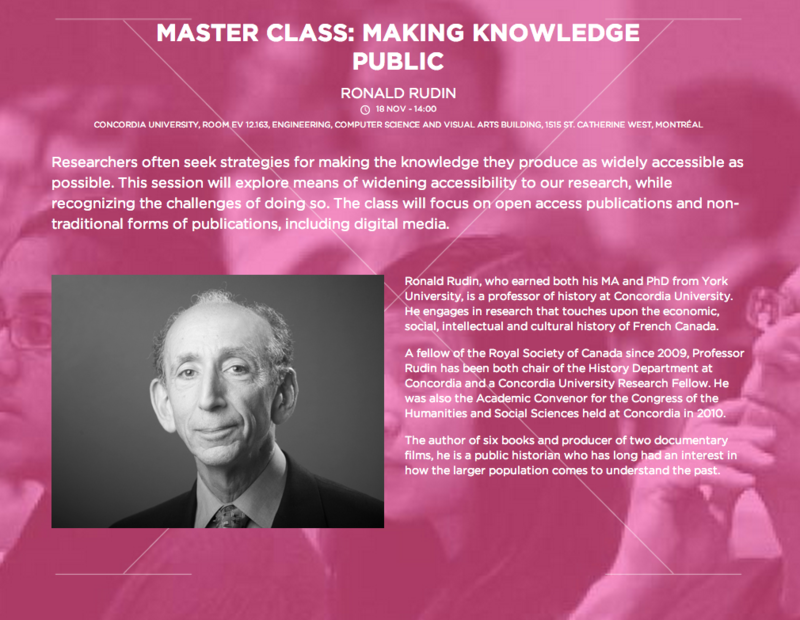 CEREV’s Acting Director Shelley Butler and Administrative Assistant Mary Caple share their reflections on Concordia public historian Ron Rudin‘s Trudeau Foundation Week master class. Click through to our blog to see the post. Curator and Concordia Studio Arts instructor Lon Dubinsky shares his reflections on our workshop with Bernadette Lynch last month. Click through to our blog to see his post. 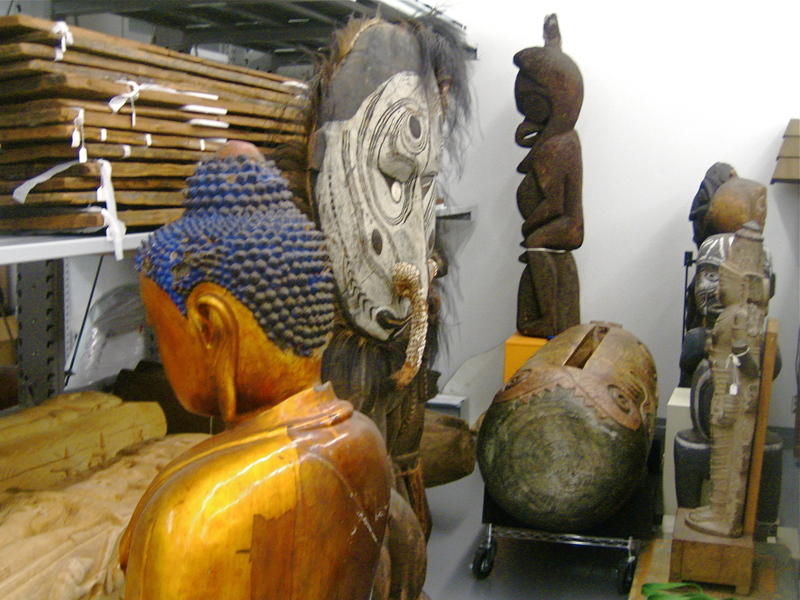 The author of this post, Chantale Potié, was one of the participants in “Futures of the Ethnographic Museum,” a workshop in the CEREV Exhibition Lab in October 2013 led by Dr. James Clifford (University of California, Santa Cruz). I was pleased to be able to participate in the intimate “Futures of the Ethnographic Museum” workshop led by prominent scholar James Clifford on October. It is rare to be able to engage with a figure as influential as Clifford in such a small group setting. 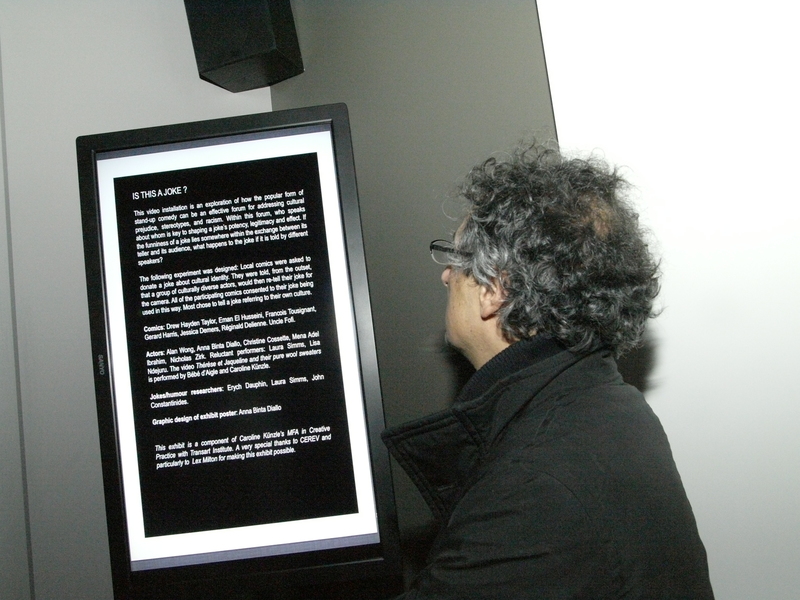 Clifford presented a text based on a keynote lecture he delivered at the Pitt Rivers Museum earlier this summer, a famous museum known for its taxonomic exhibiting of anthropological artifacts. 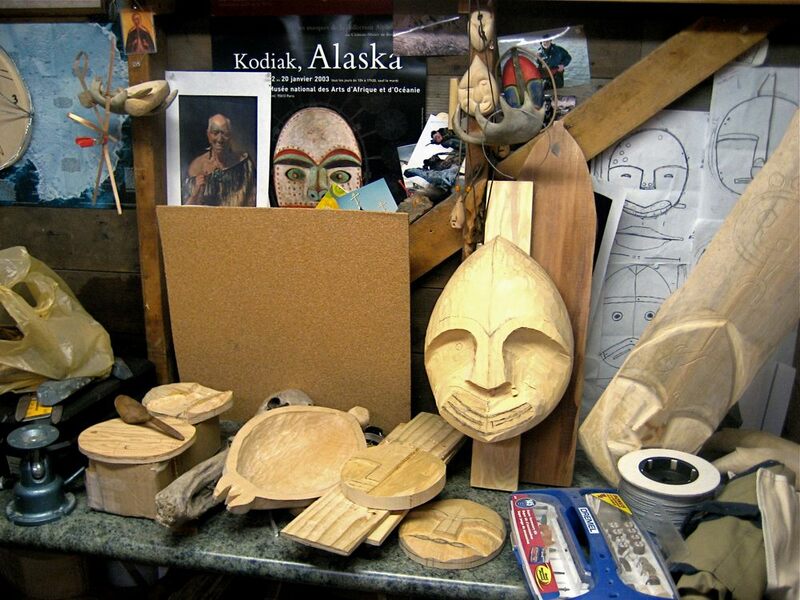 Clifford sought to question the present state of the ethnographic museum through two case studies: 1) The UBC Museum of Anthropology (now widely known as MOA) in Vancouver, and 2) the future Humboldt Forum currently being built in Berlin. 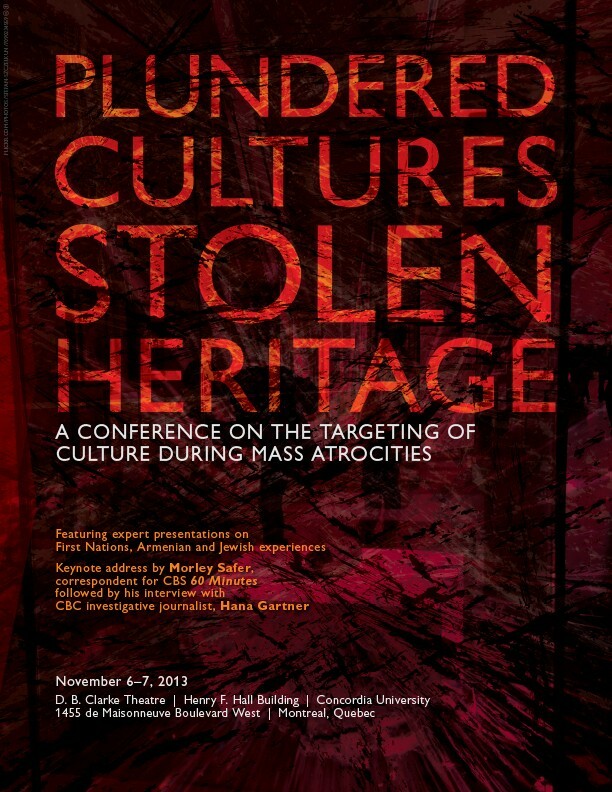 This week’s CEREV co-sponsored conference Plundered Cultures, Stolen Heritage (November 6-7) was covered in Sunday’s Montreal Gazette. Our Banting Postdoctoral Fellow, Monica Patterson, who has been a key member of the conference organizing committee and is pictured above (far right) next to Dr. Frank Chalk, Dr. Catherine Mackenzie, and Clarence Epstein (Director of Special Projects and Cultural Affairs, Concordia University), will chair Panel 2 – Impact on the Victims, with Sherry Farrell Racette (Timiskaming First Nations, Associate Professor, University of Manitoba, Winnipeg), Mehmet Polatel (PhD candidate at Boğaziçi University, Istanbul), and Elazar Barkan (Professor, Columbia University, New York) on November 7 from 11:20 AM – 12:45 PM. 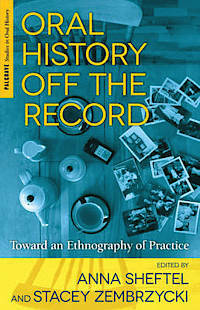 CEREV affiliated researchers Stacey Zembryzycki and Anna Sheftel are hosting a book talk and reception for their co-edited work “Oral History Off the Record: Toward an Ethnography of Practice” on November 18. Congratulations to Stacey and Anna on their publication! Visit the Facebook event page for more information. On October 11, 2013, CEREV Director Erica Lehrer and Concordia PhD in Humanities candidate Florencia Marchetti will lead the first workshop in Concordia’s Graduate and Professional Skills Research Conversations Series. Titled “Exhibition as Research: Curating and Public Scholarship in the Humanities,” the workshop will run from 1:15-2:15 pm in room S1.435 of the John Molson Building on Concordia’s downtown SGW campus. Visit the Graduate and Professional Skills website to register and find more information. Beneath the rhetoric of the utopian, democratic, dialogic museum, the space is always contested and political. This is the very reality, Lynch maintains, that the museum does much in its power to ignore. 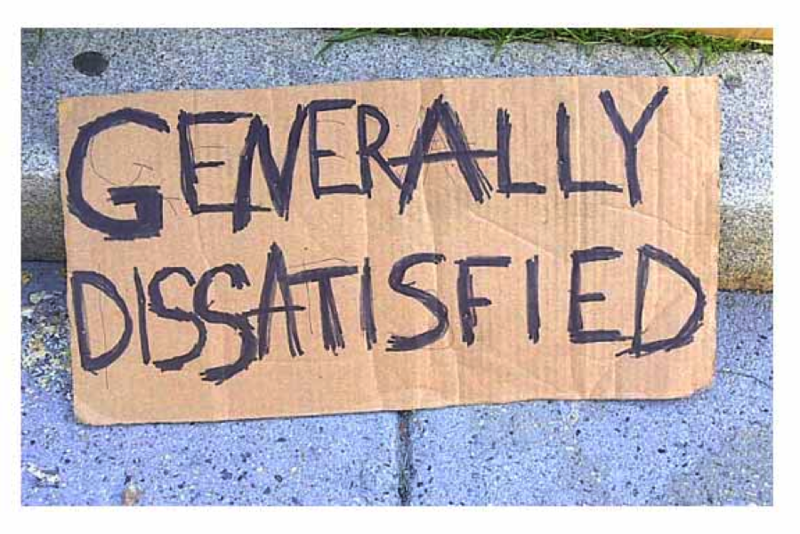 In fact, research has shown that the museum’s participatory engagement can produce the opposite effect, exacerbating the antagonistic potential existing within social relations, evidence of which can be seen throughout current museum public engagement work. Consequently, it can leave everyone dissatisfied. 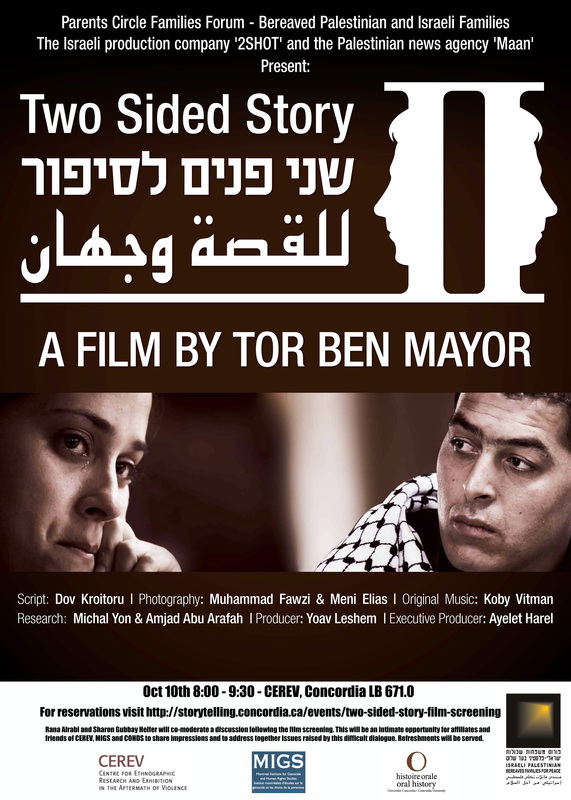 Co-sponsored with the Feminist Media Studio, the CISSC Working Group in Transnational Cultural Flows, the McGill Anthropology Department and the Mel Hoppenheim School of Cinema. New publics and branding exercises; complex relations with source communities; material pressures and generational shifts; performance art and digital networking; innovative forms of collaboration and research… The talk explores the good and the bad news for museums devoted to cross-cultural understanding in times of globalization and decolonization. Due to unforeseen circumstances, Dr. Marcus’s lecture has been cancelled. 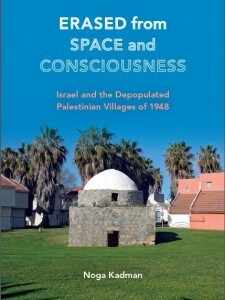 Co-sponsored with Concordia’s Department of Sociology and Anthropology, McGill University Department of Anthropology and McGill University Social Studies of Medicine. 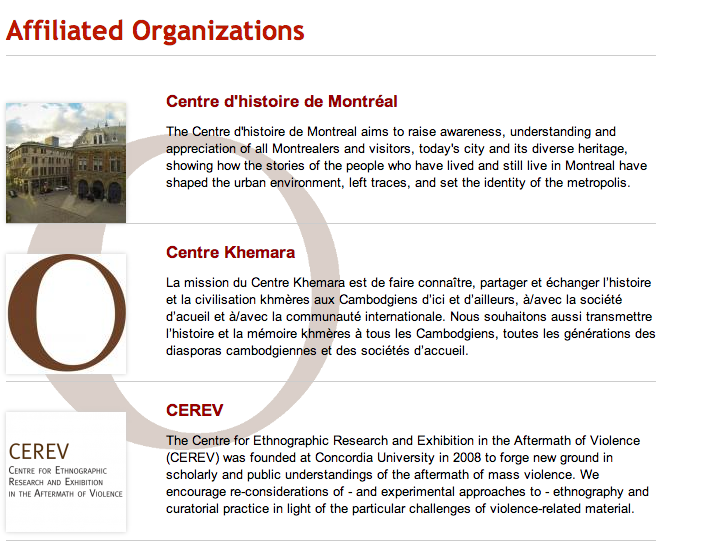 Concordia University’s Centre for Oral History and Digital Storytelling has now listed CEREV among its Affiliated Organizations, along with the Centre d’histoire de Montreal, Centre Khemara, Communauté angkorienne du Canada, the Montreal Holocaust Memorial Centre, and the Montreal Institute for Genocide and Human Rights Studies. 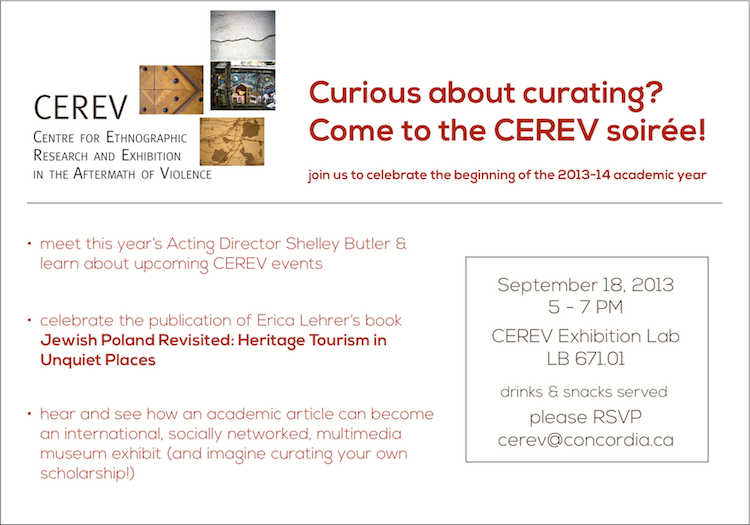 Please join us in the CEREV lab to ring in the new academic year. Congratulations to Shelley Butler, Erica Lehrer, Cynthia Milton, and Monica Patterson! 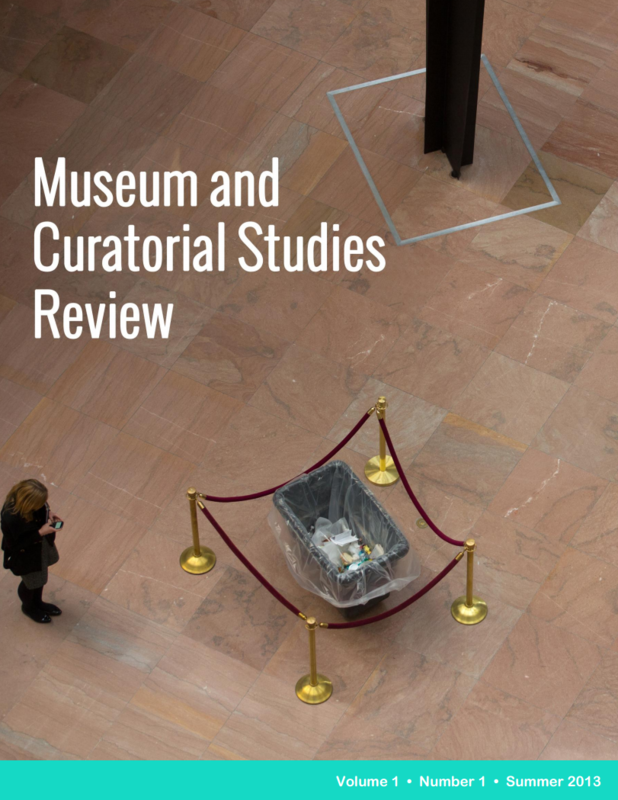 All are CEREV affiliates who have recently been published or reviewed in the inaugural Summer 2013 issue of Museum and Curatorial Studies Review. Monica Patterson was featured in Métro as one of three rising star academics in Montreal, alongside Marc-André Verner (UQAM) and Aline Massouh (HEC Montréal). Congratulations, Monica! It is a pleasure to steer CEREV in 2013/2014 while Erica Lehrer is on sabbatical. 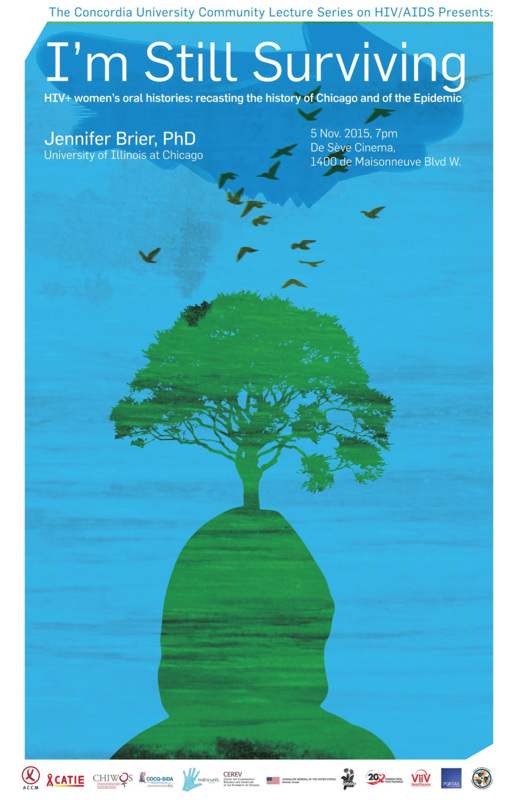 I have been involved with CEREV for three years as a Research Affiliate, developing a comparative research program on curating difficult knowledge with colleagues Monica Eileen Patterson, Heather Igloliorte and Erica Lehrer. 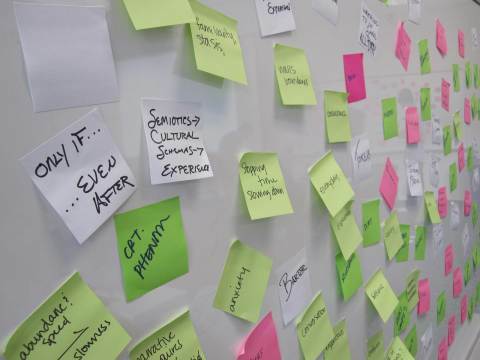 I also co-lead an interdisciplinary university-wide curatorial theory and practice working group and facilitate and participate in workshops exploring curatorial technologies, strategies, and methodologies. I am a cultural anthropologist and my research focuses on museums and public history in settings characterized by diversity, inequality, demographic change, and shifting power relations. I teach interdisciplinary courses on Canadian cultures and museums at the McGill Institute for the Study of Canada. 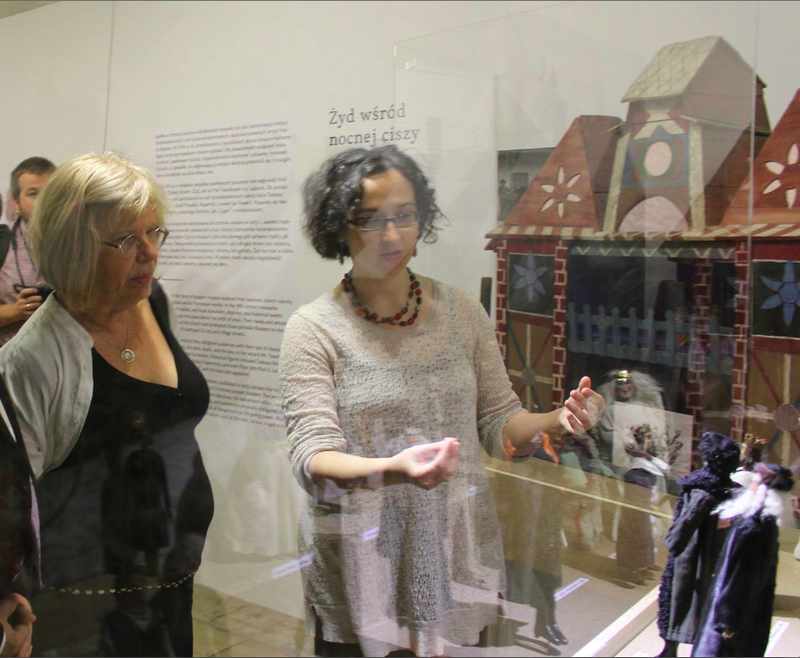 Souvenir, Talisman, Toy is an exhibit and international, intercultural dialogue project that seeks to understand and debate the popularity and meanings of Polish-made figurines depicting Jews. 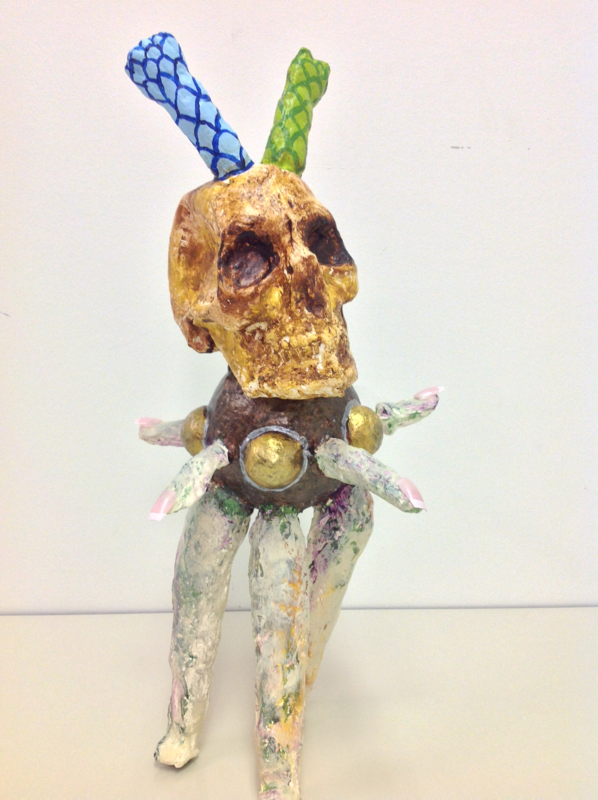 The goal of the project is to showcase the long history and variety of cultural, religious, economic, and political influences on the figurines, and to foster dialogue among different perspectives on their meaning. 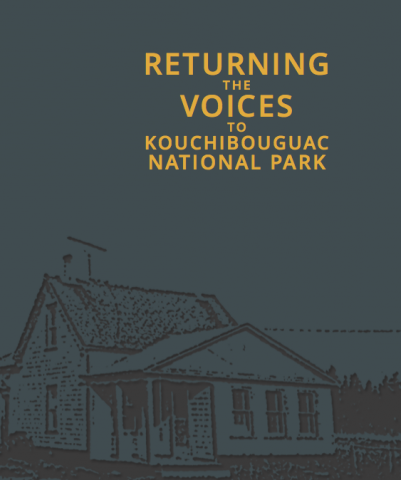 Image from the Returning the Voices to Kouchibouguac National Park website. people (mostly Acadians) were removed from their lands so that nature could be displayed to park visitors without the distraction of a human presence. The Returning the Voices to Kouchibouguac National Park project is designed to return the residents’ voices to their lands by way of 26 video portraits that are embedded into the map that was created for their removal. Many of the interviews were done on the lands from which the residents were removed over 40 years ago, and the mobile version of the website (available at the same URL) makes it possible to hear these stories while on the same lands. 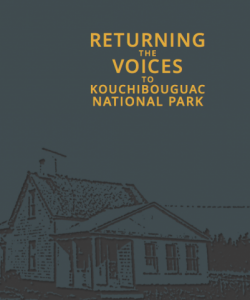 To read more about the Returning the Voices to Kouchibouguac National Park project click here. on for a tenure-track position in Child Studies at Carleton University beginning in 2014.
to complete her Banting tenure here at CEREV. CEREV is so glad Monica’s staying in Canada! LB 671.10, 1455 de Maisonneuve Blvd W.
Co-sponsored by CEREV, The Centre for Oral History and Digital Storytelling, and the Chaire de Recherche du Canada en mondialisation, citoyenneté er démocratie, QUAM. 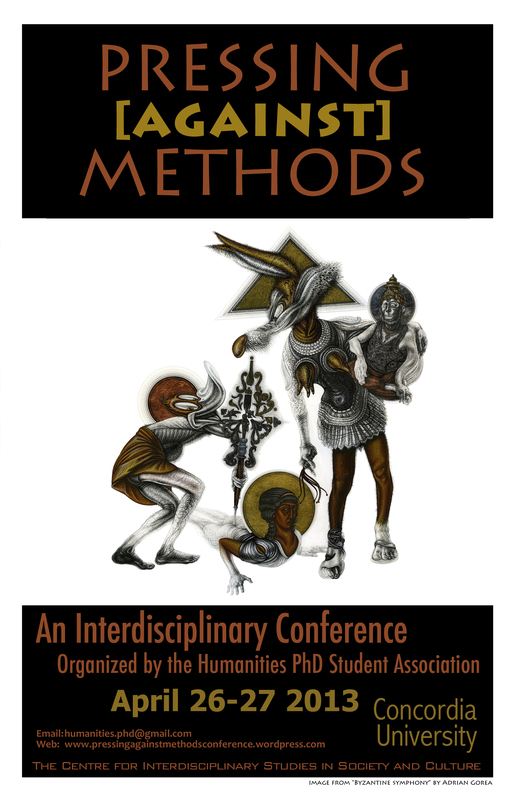 Pressing [against] Methods invites graduate and post-doctoral students from all disciplines in the social sciences, fine arts and liberal arts to present on the issue of methods. Presentations can take the form of traditional research papers, as well as artistic, multi-disciplinary and multi-format presentations. Presenters are encouraged to think about how they define, combine, employ, reject, subvert and create methods in their own work. Presenters can address issues related to ethics, politics, epistemology, creativity, disciplinarity, funding, pedagogy, etc. 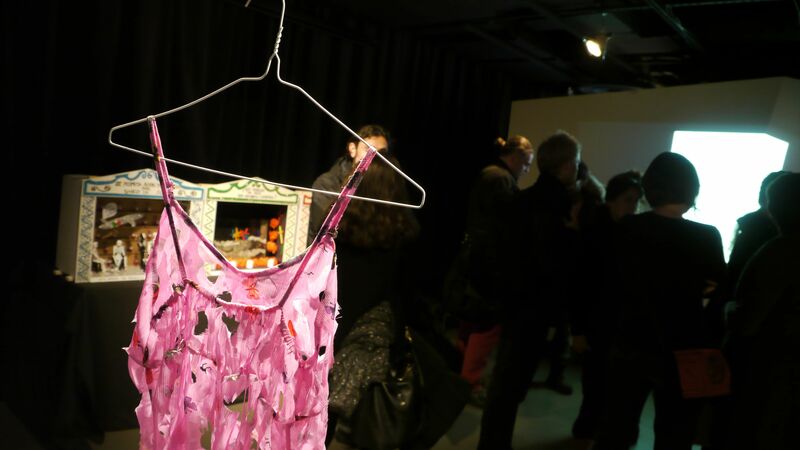 Former CEREV postdoctoral fellow Joseph Rosen is a part of “This Situation”, a participatory art installation currently on exhibit at the Musée d’art contemporain de Montréal. He will be paid to be an interactive piece of art that chats about economics and the aesthetics of existence. 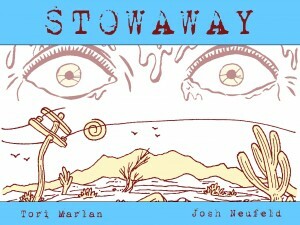 So skip work, go visit Joseph, and get some relational art on your new spring shoes! 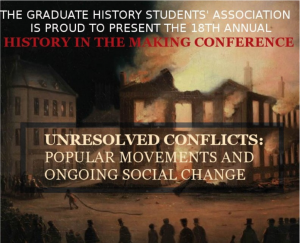 Presented annually by Concordia University’s Graduate History Students’ Association, the History in the Making conference gives students an opportunity to present their work before an audience of their colleagues, faculty, and professional researchers. On June 1-2, 2012, CEREV director Erica Lehrer, affiliated scholar Shelley Butler, and doctoral student Florencia Marchetti attended the Public Ethnography Conference at Royal Roads University in Victoria, BC. 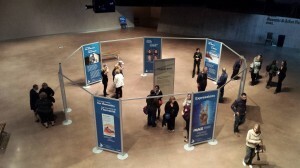 American Anthropological Association annual meeting introduces Installations! forms of intellectual expression for consideration. With the intent to analyze the origins and continuity of the collective violence committed against the Armenian through Ottoman and republican history up to the present, the talk analyzes the narrative of 297 contemporaneous memoir writers and their 315 texts. The analysis provides a historically based explanation not only for the emergence of such collective violence, but its continuation across two hundred twenty years from 1789 to 2009. And it further argues that the layering of denial across time makes it even more challenging for contemporary Turkish state and society to acknowledge the violence. A three-day symposium on contemporary Indigenous film, media arts and exhibitionary practice featuring Canadian artists, filmmakers, scholars, and curators. Transmissions: Sharing Indigenous Knowledge and Histories in the Digital Era is a three-day collaborative event including workshops, a film screening, an interactive art installation and a public symposium. Transmissions will explore the interface of Indigenous knowledge and oral history with digital technologies, experimental museology, and new communicative forms in twenty-first century exhibition and artistic practice. 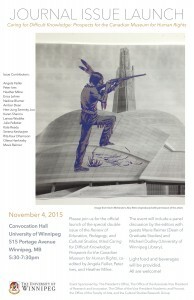 The symposium provides an opportunity for prominent academics, curators and museum professionals to discuss their recent research in the fields of Indigenous exhibition and curatorial practice, particularly as it relates to the experimental interface of museum work, art, and technology, and to enter into dialogue with Indigenous artists and arts professionals who also employ new media and digital technologies in their artistic practice. 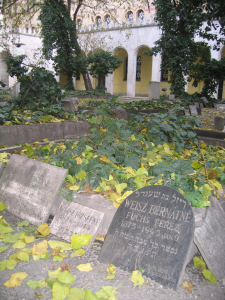 CEREV director Erica Lehrer will serve on a consultant panel co-organized by the Center for Advanced Holocaust Studies at the United States Holocaust Memorial Museum and Harvard University. The panel will convene on February 21-22 at the museum in Washington, D.C.
Lehrer will serve as an expert on public history and memorialization. Welcome Research Fellow Amina Grunewald! 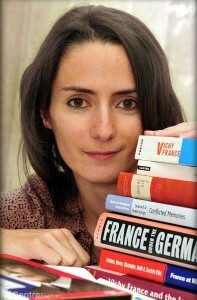 Amina Grunewald, a PhD Candidate in the Department of American and English Studies at Humboldt University in Berlin, will be joining CEREV as a Short-Term Research Fellow for the month of February 2013. 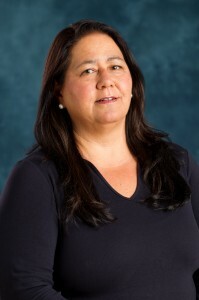 Amina will be focusing on contemporary Aboriginal cultural and decolonizing self-representations in contemporary literary and visual counter-narratives, with special emphasis on collective and individual memory work and strategies of recovery. She will also investigate curational practices that strive for the transferability of indigenous knowledge to non-native audiences. 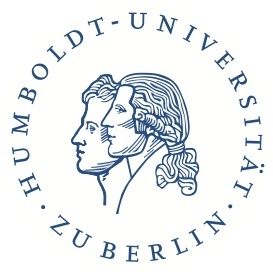 Amina’s stay at CEREV is co-funded by the Gesellschaft für Kanadastudien (Society for Canadian Studies) and Humboldt University’s English and American Institute. 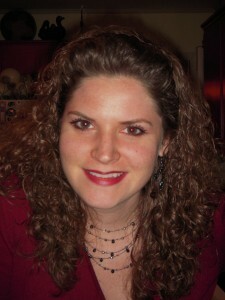 Her full bio can be seen on our “People” page. Welcome, Amina! 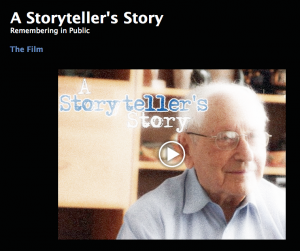 Innovative student Holocaust testimony project website live! Ted Bolgar as he pursues his second profession as a giver of testimony. Monica Eileen Patterson, a postdoctoral fellow at CEREV and alumna of Swarthmore College, will be hosting three undergraduate externs from her alma mater during the week of January 14-19. The students will shadow Dr. Patterson, assisting in the development of “Refiguring Childhood,” an interactive, community-based exhibit that will travel to various sites in South Africa in 2014. 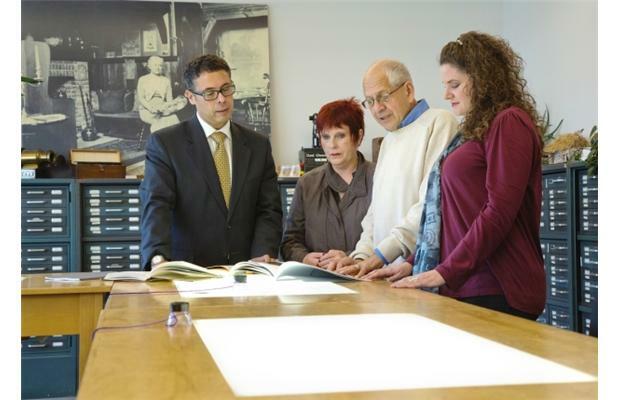 They will also have the chance to learn more about the range of public history projects and exhibitions being produced at CEREV. Swarthmore’s Extern Program is run by the Career Services Center, and will place 237 current students with alumni for extern week this year. Concordia’s new “INDI” individualized MA/Ph.D. city during the Second World War, and its how it has dealt with its heritage publicly in the years since. This fellowship is in memory of the eighty French parliamentarians who chose exile on board the ship, the Massilia, rather than voting for the abrogation of the constitution of the Third Republic and the inauguration of the “Etat Français” under Philippe Pétain. Félicitations, Audrey! 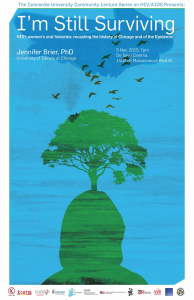 An extended review of Ethnographic Terminalia by Shelly Errington (UC Santa Cruz) has just been published in the journal American Anthropologist. 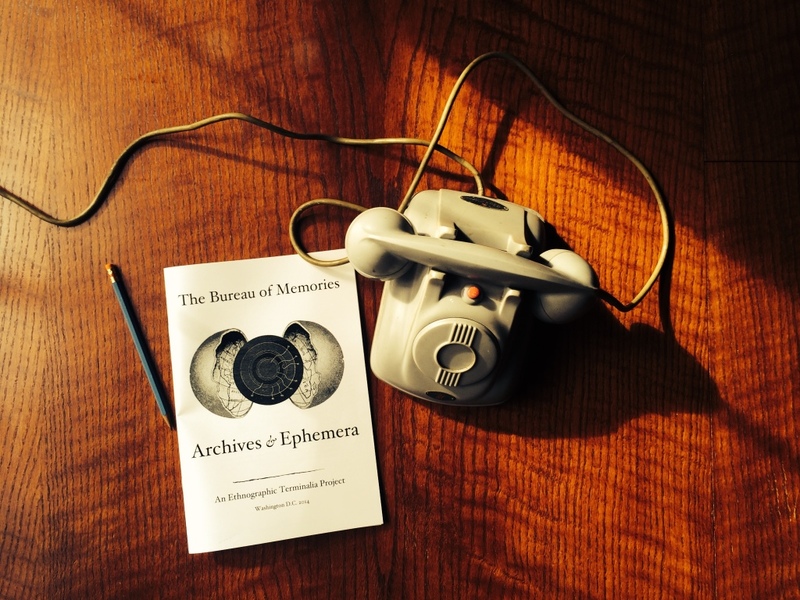 The review addresses our first three years of exhibition (Philadelphia, New Orleans, and Montréal) and traces theoretical and methodological connections to broader movements in anthropology and contemporary art. 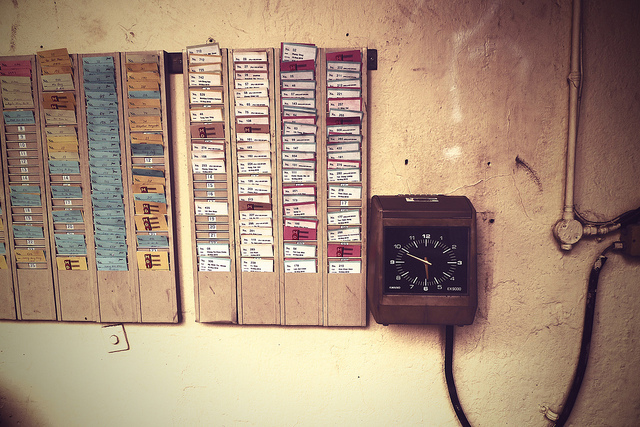 The full article can be downloaded on the Ethnographic Terminalia website here. 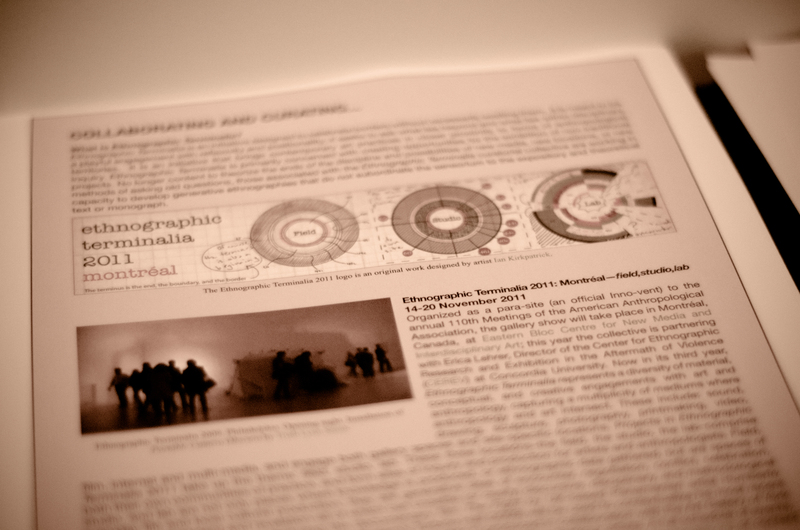 View photographs from Ethnographic Terminalia here. CEREV student affiliate Florencia Marchetti will be doing a presentation as part of the Hexagram-Concordia Research-Creation Brown Bag Series.